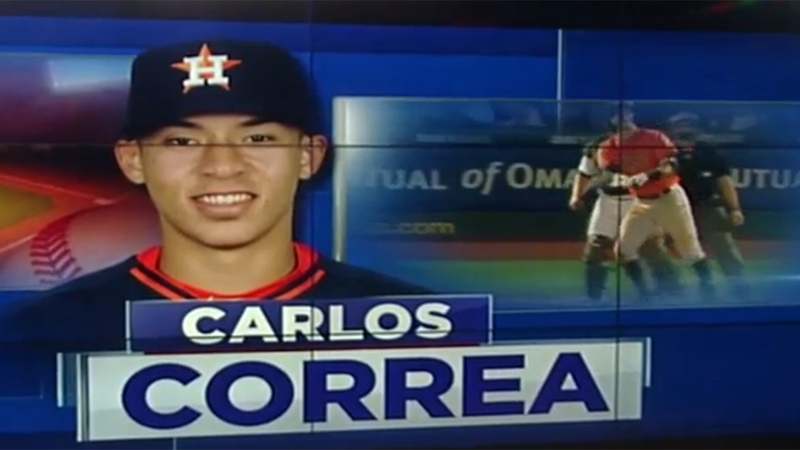 HOUSTON (KTRK) -- At just 21-years-old, Houston Astros shortstop Carlos Correa has been compared to some of baseball's greats. On the field, he is one of the team's rising stars, hoping to lead the the team to greatness. Correa is a homebody with a charitable heart of gold. So, while this shining star could have lived anywhere in the world during the off-season, he has decided to make Houston his home. Like a lot of success stories, Correa's drive was obvious from an early age. Determined and so confident in his abilities, Correa's father picked up extra construction jobs to pay for tuition at a bilingual school in Puerto Rico so his son could speak English easily as a future Major League player. "You know he took it very seriously from a kid that's just in third grade," said Correa of his father. From humble beginnings, there's a sense that Correa is well aware of the sacrifices his family made on his way to stardom. Carlos Correa spent Saturday making sure needy Houston area kids had a comfortable spot to sleep. "You know they've been through every step of my career," said Correa. "They've been there to support me through the goods and the bads." Though his new home in Houston may have the features of a bachelor pad, Correa says his brand new digs are more about making it a comfortable place for his family to stay as they uproot from Puerto Rico and setup their own lives in Houston. "When my sister and my brother are done with school this year, they'll move to Houston and they'll be hanging out with me a little more," said Correa. The reigning AL Rookie of the Year sat down with David Nuno to give a glimpse into who he is. Friends and family constantly surround Correa, though he doesn't seem to mind the commotion. "Especially those days when you go 0 for 4, you want to have people around," he said. When the off-season comes around, you won't find Correa jetting off to another city. His new place is just the start as he sets down roots in Houston. "Me, as a Puerto Rican-born player, just coming to Houston, I felt, like, at home," he said. "The fans love baseball and they're always like, 'Carlos, we love you' and you know, that never gets old for me." Charities for children take up a lot of Correa's downtime. They're near and dear to his heart, describing himself as just a big kid. 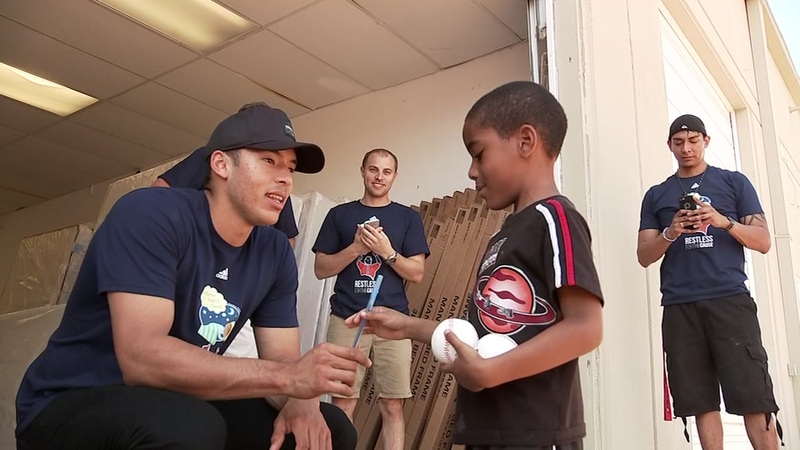 "I love interacting with the kids and hanging out with the kids and making sure they have a smile on their face," Correa said. Whatever time is left in the day is spent keeping it low key, doing what a lot of other 21-year-olds do -- shopping, adding to a growing collection of hats and shoes. Even more than looking like a Houstonian, though, Correa says he is most focused on making Houston a baseball town again. "It's a beautiful game, it's a game you should have fun while you play," said Correa. "I can't wait to see how it's going to be when we win, bring a World Series championship."